3 Bedrooms, 2 baths. 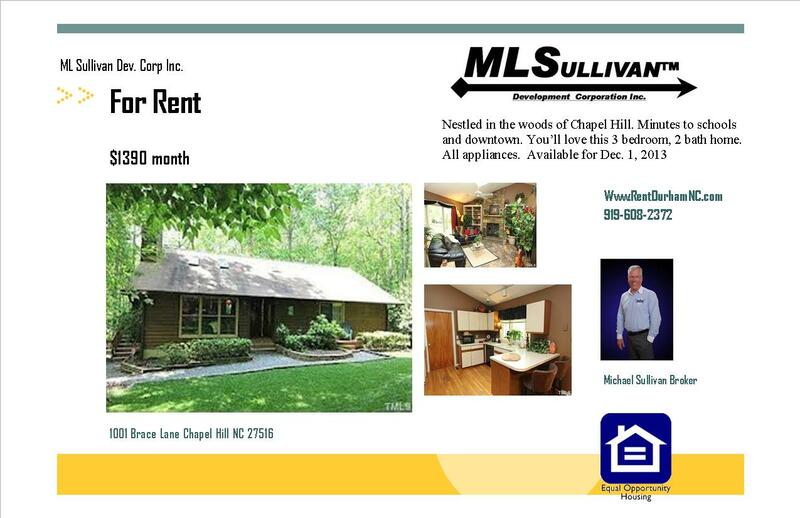 Nestled in woods, minutes to downtown Chapel Hill. Pets welcome. Porches. Hardwoods. Appliances and more. Housing In Recovery In The Triangle. All housing units= detached homes, townhouse, condo and manufactured homes.